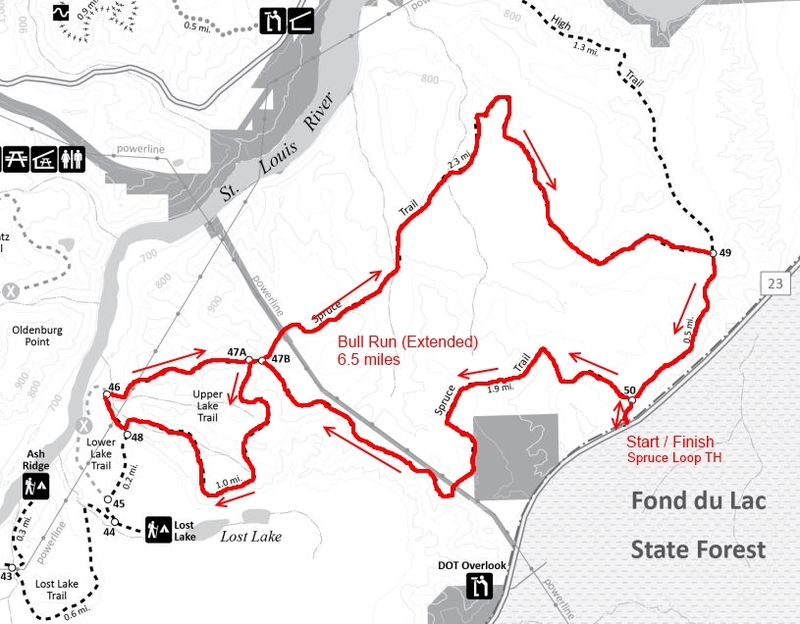 The start for this run will be at the Spruce Loop trailhead on Hwy 23! This is just down the hill toward the St. Louis River from the traditional Bull Run start from years past. 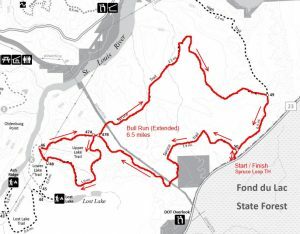 The course will take in the full Spruce and Upper (Lost) Lake trails, totaling 10.5 KM (6.5 miles). Take the Hwy 23 / Grand Ave. exit. Stay straight on Hwy 23 through Gary/New Duluth and Fond du Lac. After crossing the St. Louis River just after Fond du Lac, the trail head will be a ways (about 1.5 mi) up the hill on the right. Please park safely, with your car as far on to the shoulder as possible. Or, an overlook is just up the hill on the right, with a small parking lot.